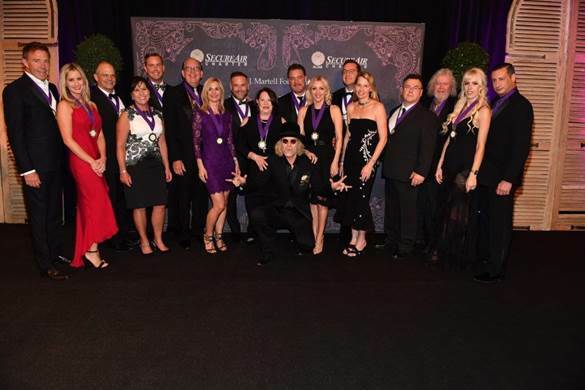 The T.J. Martell Foundation celebrated its 18th Annual Nashville Best Cellars Dinner on April 24 at the Omni Hotel. Prepared by chefs John Currence (City Grocery, Bouré, Big Bad Breakfast, Snackbar) and Alon Shaya (Shaya, Domenica, Pizza Domenica), each of the four courses was paired with a world class wine selection offered by the evening’s wine hosts (pictured above). The event netted nearly $225,000 toward funding for innovative leukemia, cancer and AIDS research. The Academy of Country Music welcomed Stoney Creek Records recording artist Adam Craig to the office while he was in Los Angeles last week. 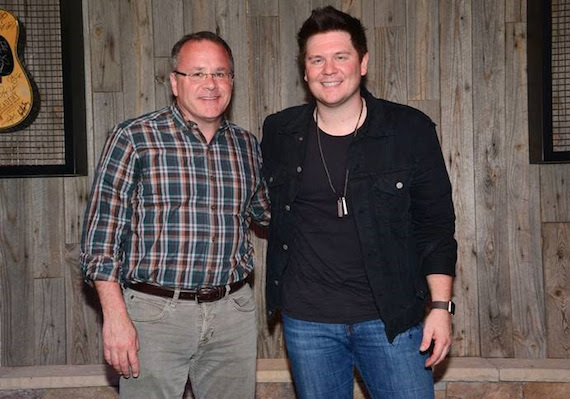 While at the Academy, Craig performed his current single, “Just a Phase,” and songs from his current self-titled EP Adam Craig. Next month, Craig will join Luke Bryan as he launches his Huntin’ Fishin’ and Lovin’ Every Day Tour with consecutive shows at Nashville’s Bridgestone Arena and on select dates throughout the summer. 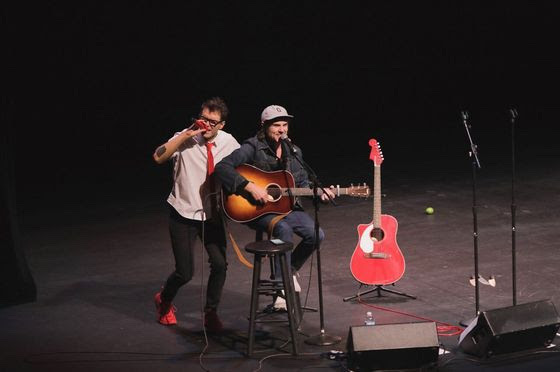 Bobby Bones, host of iHeartMedia’s The Bobby Bones Show, delivered a sold-out show in Nashville, TN on Saturday night (April 22) during his Funny & Alone Standup Comedy Tour Presented By WSIX at TPAC’s James K. Polk Theater. With tickets selling out in less than an hour at on sale, Bones headlined the night as part of the fourth annual Wild West Comedy Festival. Pictured (L-R): LBT’s Phillip Sweet, Cody Alan, Josh Wolf, and LBT’s Jimi Westbrook. 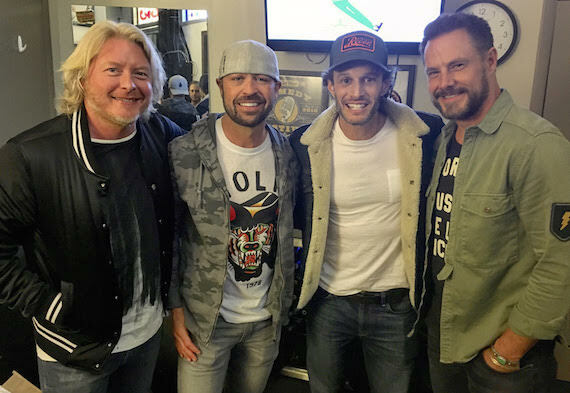 CMT’s Cody Alan teamed with comedian Josh Wolf and Little Big Town’s Jimi Westbrook and Phillip Sweet on stage this weekend at Zanie’s in Nashville as part of the Wild West Comedy Festival.